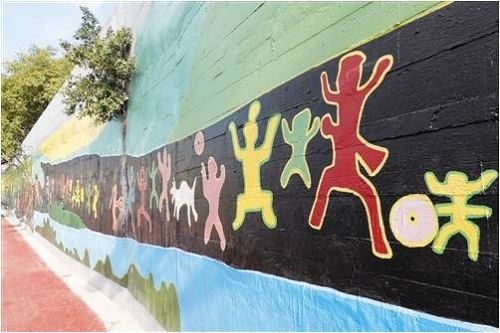 Recently, the longest and largest wall painting in Guangxi was completed and perfectly presented on the South Bank of Yongjiang River, adding beautiful scenery to Yongjiang River. It is reported that the wall painting is 660 meters long and 4.3 meters high, with a total area of 2,838 square meters. The river bank graffiti project is mainly completed by 80 student volunteers from Design College of Guangxi Art College and Art Engineering College of Nanning Vocational and Technical College. The painting is based on the French Wall Painter King as the creative raw material, which can ensure the integrity of the picture within five years under the natural environment conditions.